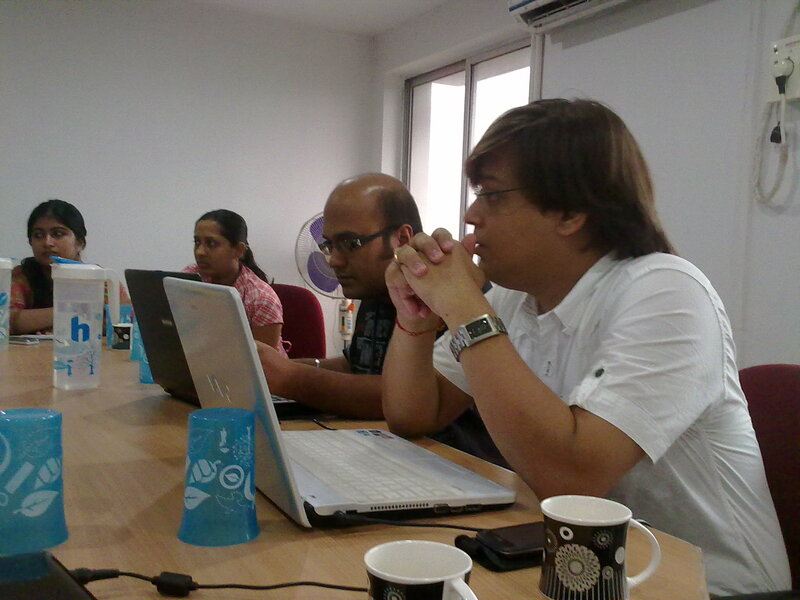 It was indeed “knowledge sharing” that happened today, not on Social Media but at the Social Media Breakfast. At the 62nd Social Media Breakfast the members differentiated information from data; knowledge from information and Knowledge sharing from mere sharing. The Social Media Breakfasts are sponsored by Twitsnaps.com, a Compare Infobase Limited project. Members concentrated in divaricating Crowdsourcing from outsourcing. Crowdsourcing is outsourcing job to a large group or a community through an announcement. Crowdsourcing can be done through Twitter using hashtags and through Facebook using Fanpages. The MeetUp group assembled at Compare Knowledge Center at Ray’s IT Park, Kolkata at around 8:45 a.m. for attending the 40th Social Media Breakfast Session. The topic of the discussion was “Google+: The plus and minus of it?” Each and every member tried to contribute with useful inputs and viewpoints on Google+. 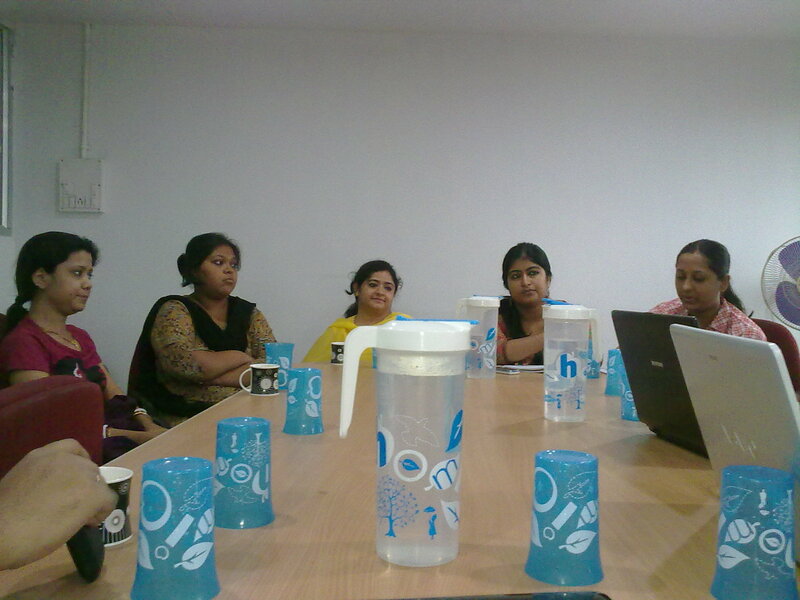 The efforts of every member to make it a successful session were commendable. All the MeetUp members were optimistic about the success of Google+. Google+ is an initiative to combine products and services of Google. The prominent features of Google+ are Circles, Huddle, Hangouts, Instant Uploads, Sparks, and Stream. Stream is an interesting feature of Google. It allows users to view updates from their circles. Filtering is a major attribute of Google+ and it is different from that of Facebook. One of the minor limitations of the layer is restricted invitation. Google+ is different from Facebook in different aspects. By launching Google+, Google is concentrating more on quality than quantity. Google+ can be depicted as a modified or updated version of Facebook. Google+ has been developed as a platform that not only combines many Google social services, but also brings in new features such as Huddle, Stream, Spark, Hangout and so on. This social networking service has been formulated by keeping in mind the features of other social networking platforms such as Twitter and Facebook. Google+ can also help in Search Engine Optimization (SEO) through its “Spark” feature. It has the potential to work as a better knowledge sharing platform. It facilitates selective information sharing and downloading data in a segregated manner. The 40th SMBTS Kolkata session concluded with all the members consenting that Google+ is going to gain huge popularity as a social networking service and is projected as a competitor to Facebook. However, it is still subject to a number of developments.